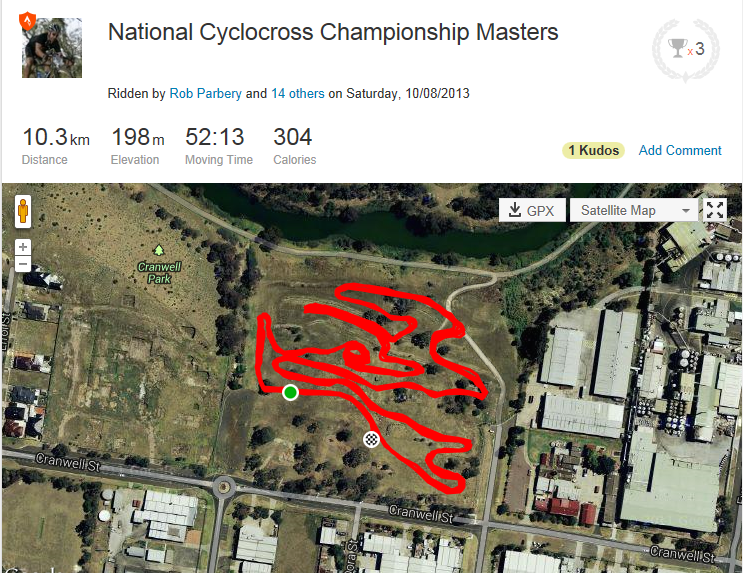 Australia crowned its first national cyclocross champions yesterday in the Melbourne sunshine – what a great moment. 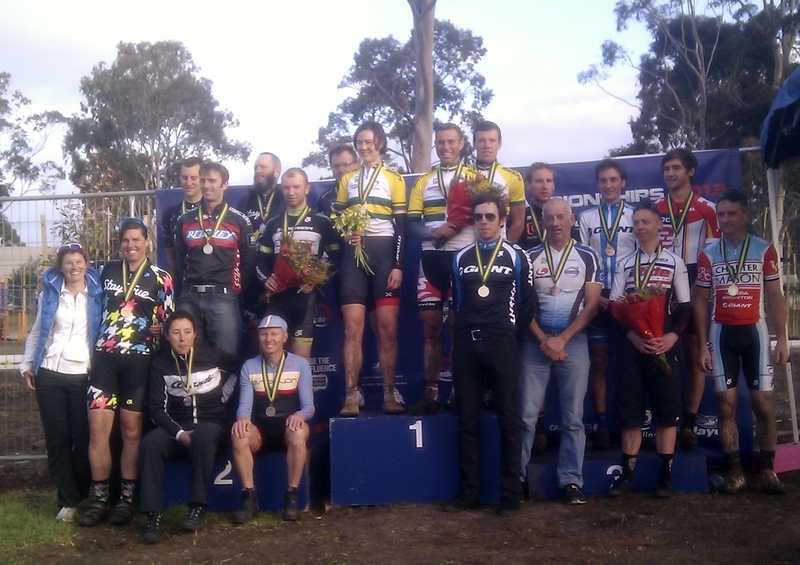 A total 140 riders competed in elite, masters and junior men’s categories, providing some excellent racing for spectators who found their way to the western suburbs. The course used the hillside of Cranwell Park; not overly technical but lots of off-camber straights and climbing on deep grass softened by days of rain. More than a few muttered ‘brutal’ when they finally caught their breath. Jenny Macpherson dominated the women’s masters field to finish two minutes clear of Maartje Munsterman with Annabel Cox third. 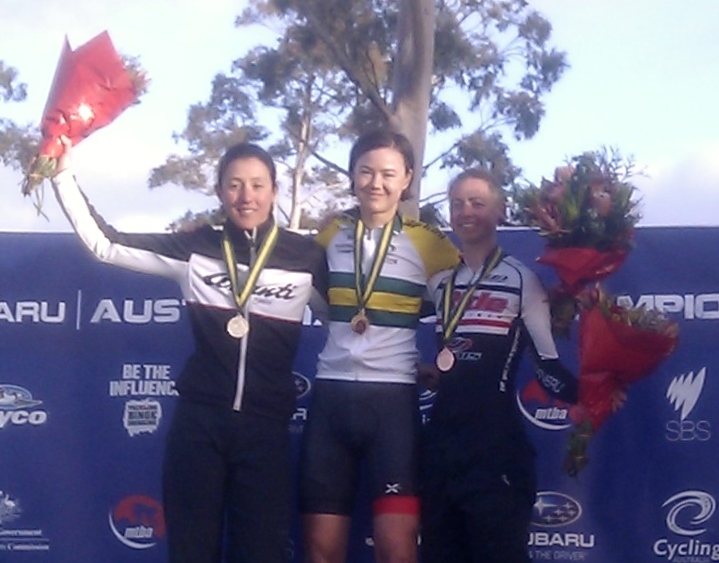 The elite women’s race saw similar strength from Lisa Jacobs who finished over two minutes ahead of Rowena Fry who leads the national elite women’s series, with local Melissa Anset a popular bronze medallist. The masters men had enough starters for three classes. Joshua Smith took out the 30 plus title from Scott Wines and Lucas Sproson, while Olympian Danny Kah is the 40 plus champ ahead of NSW mountain biker Danny Hennessy and Victoria’s Russell Collett. The 50 plus title went to Craig Peacock from Malachi Moxon and Greg Walker. The elite men’s race lived up to expectations with multiple lead changes before former national road race champion Allan Iacuone prevailed, ahead of Adrian Jackson and Nick Both. The late/great news for both Jacobs and Iacuone was that they both score a trip to Cross Vegas which essentially opens the US cyclocross season, while others heard this week that they are heading to China for some cross! Today sees the final round the national cyclocross series at Darebin Park hosted by the Melbourne cx pioneers and all-round awesome Dirty Deeds Cyclocross crew. As they said: Brutal. Thanks Rob! This entry was posted in Cycling, Cyclocross, Uncategorized, Women's cycling and tagged #MelbourneCycling, DDCX, women's cycling by quaddess. Bookmark the permalink.